The Padres announced today that a public memorial will be held for Jerry Coleman on Saturday January 18th, at 10:30am at Petco Park. The gates will open at 8:30, and fans will be able to enter through the East Village gate on 10th Ave., or the Park Boulevard gate on Park Blvd. There will be guests from all facets of Jerry’s past to help celebrate his extraordinary life. The event is free, and free parking will be provided in three locations: two surface lots along Imperial Avenue (Parcel C lot and Tailgate lot) on the southeast side of Petco Park, and the Padres Parkade garage (10th Ave at J St). For those who would like to make a donation in Jerry’s memory, the Coleman family suggests the Semper Fi Fund (www.semperfifund.org). The Semper Fi Fund, a 501(c)(3) nonprofit, was created by a group of Marine Corps spouses nine years ago to provide immediate financial assistance and lifetime support for injured and critically ill members of the U.S. Armed Forces and their families. I’ll look forward to seeing you there as we remember and celebrate the life of a man who gave so much to all of us in so many different ways. Pads have several needs at trade deadline, but what pieces will they add? Hey Bob, I’ve been fortunate to catch your memories you have been sharing of Mr. Coleman on 1090 the last few days including this am. Thanks for giving us more insight into your relationship with this incredible individual!! My heart hurted when I found out he passed. When I was a lil kid in the 80’s his golden voice was the last voice I heard in the summer before I went to sleep. I would pretend to go to sleep weekday nights & with my lil AM radio pull the blankets over me cuz I was suppose to be asleep & listen to late Padre games as everyone slept in my house. 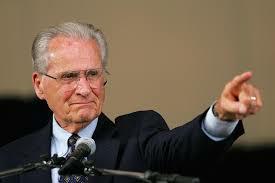 RIP JERRY COLEMAN & now you can hang all the stars you want in that beautiful sky. I’m gonna try my best to go to this event.